It’s shaping up to be an Incredible Summer at Walt Disney World Resort! 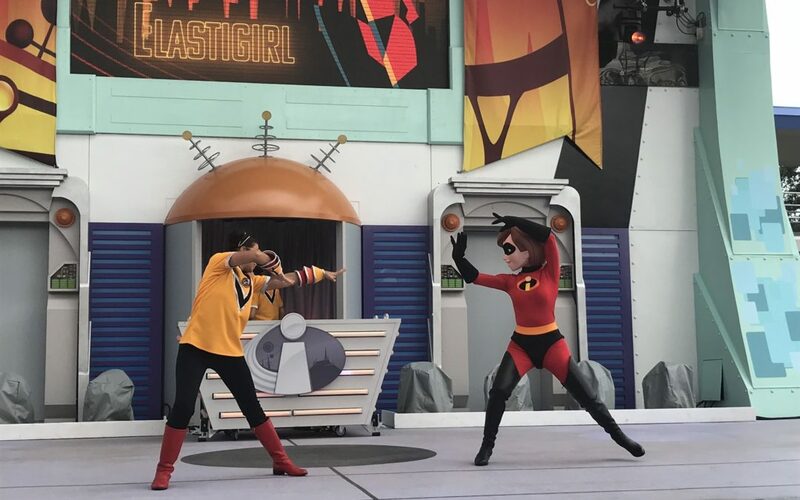 Not only is Toy Story Land opening at Hollywood Studios on June 30, but there are ‘super’ special events happening at all the parks (and in a theater near you! 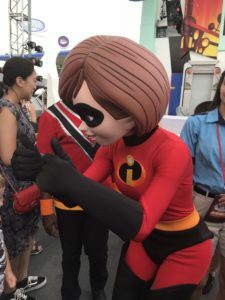 Click here for tips from Pixie Dusted Diva on how to have some Incredibles 2 fun with your family.) At the America Gardens Theater in Epcot you can catch an out of this world concert experience. 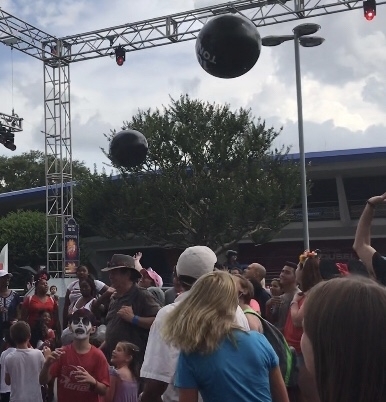 “Guardians of the Galaxy – Awesome Mix Live!” is performed several times a day, and is one of the best times we’ve had at a Disney concert! (Watch for my review coming soon.) Over in Animal Kingdom Donald Duck has discovered dinosaurs are his ancestors, and he’s celebrating with “Donald’s Dino-Bash!” And the Disney H2O Glow parties at Disney’s Typhoon Lagoon promise to light up your nights. 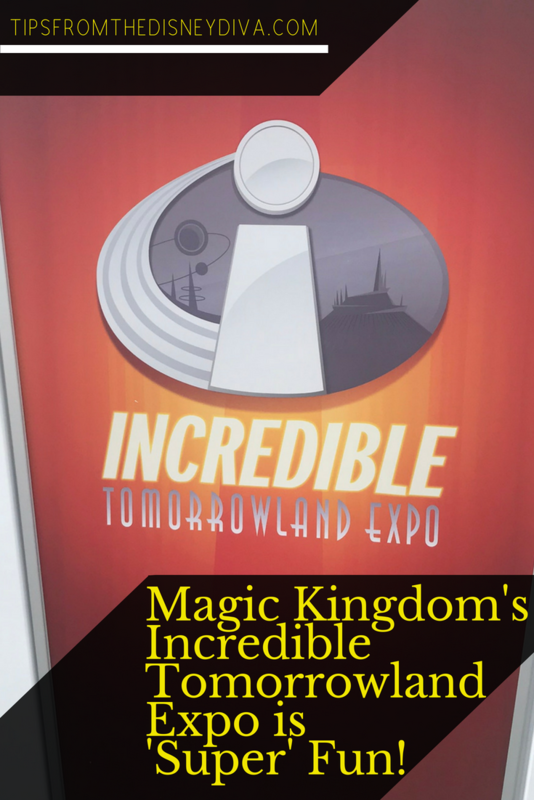 We recently had a chance to check out the Incredible Tomorrowland Expo in Magic Kingdom. There is entertainment, merchandise, and special food and beverage offerings to celebrate the superhero in all of us. Our primary focus was to see the Super Dance Party which takes place on the Rockettower Plaza Stage daily from 2:00 pm-7:00 pm. Although it was somewhat of a rainy day, the party was rocking! The DJ and hosts encourage everyone to get on the dance floor and show off their ‘super’ dance moves. It’s very interactive, with cast members joining guests on the dance floor. Periodically, a Superhero shows up to join the fun! 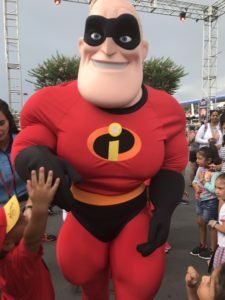 When the Super arrives, the cast member host introduces him or her on stage and they engage in some fun banter about what it’s like to be a Superhero. 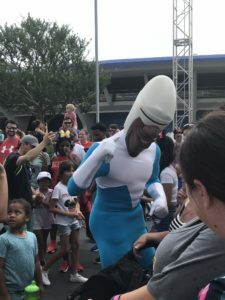 Then there’s a special dance or activity to interact with the audience and finally the Superhero comes out onto the dance floor to mingle with guests. For example, when Mr. Incredible arrived, he talked about how true strength comes from family and teamwork. We then all showed our strength by volleying 10 ton weights (which may have looked remarkably like inflated plastic balls) among all the guests on the dance floor! As I mentioned, we were battling storms during our visit. A few times they had to pause the party, but would bring it back as soon as the weather permitted. 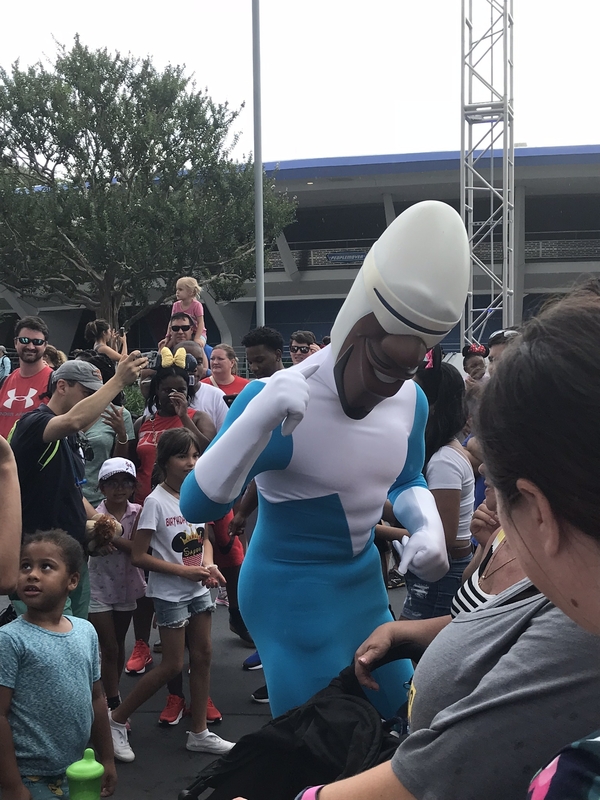 We saw Frozone, Elastigirl and Mr. Incredible. 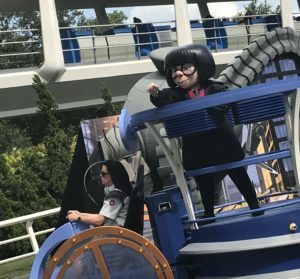 And although everyone’s favorite fashion designer to the Supers, Enda Mode, was not on stage; she did make an appearance as she drove by in her special vehicle. Cast members continued the fun by creating a catwalk on the dance floor so guests could show their super fashion style! Diva Tip: Although EVERYONE is invited to engage with the Supers, they cannot take time for autographs here. Supers have a tight time schedule, you know! But have your camera ready for a ‘super’ quick selfie! 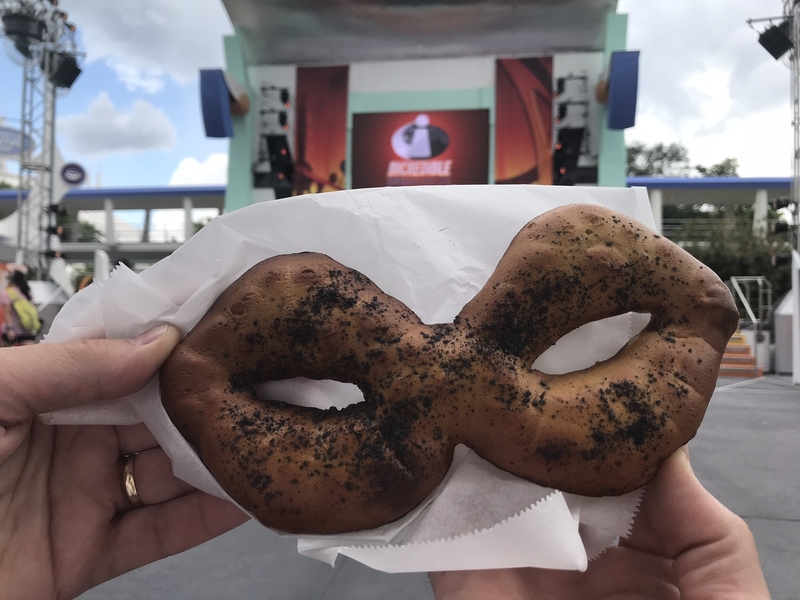 During one of our weather delays, we had a chance to try one of the ‘incredible’ snacks being offered as part of the Incredible Tomorrowland Expo. 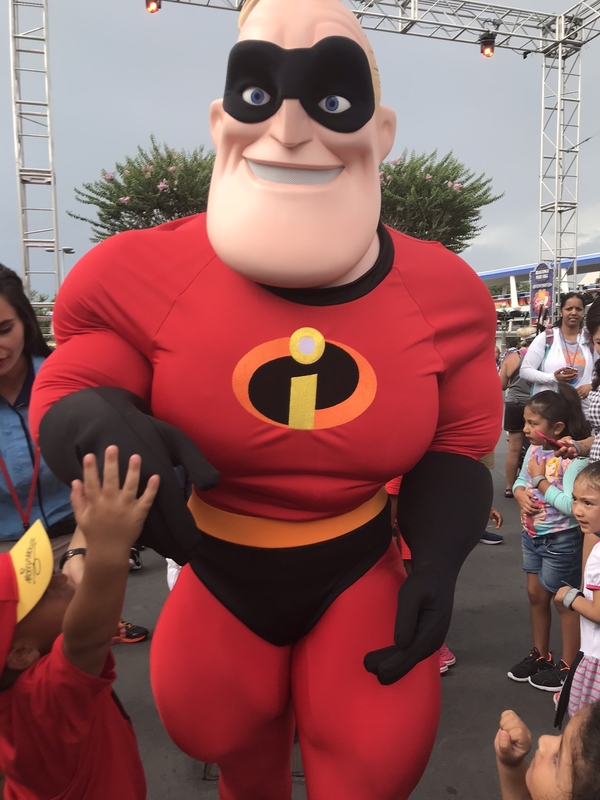 Everyone loves a Mickey pretzel, but since every Super needs a mask (no capes! ), The Lunching Pad has put a twist on our favorite salty snack. The Mrs. Incredible Pretzel Mask is shaped like – what else? – a mask! It’s still served with cheese sauce for dipping, but the white salt typically found on a Mickey Pretzel is replaced with black salt. You can also get Jack-Jack Cookies (mini chocolate chip cookies) at The Lunching Pad. If you are looking for more of a meal, there are some special menu items at Cosmic Ray’s Starlight Cafe. 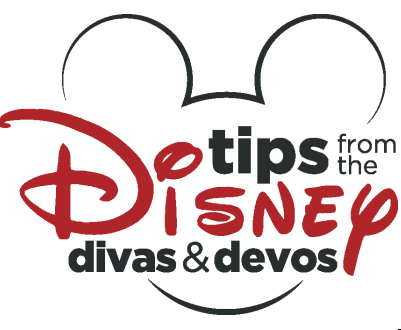 (You can read why Soarin’Diva loves Cosmic Ray’s here.) Choose from a Super Stretchy Burger inspired by Mrs. Incredible (a flamed-grilled angus burger with mozzarella sticks, American cheese, bacon, and garlic ranch sauce) or a Super Foods Salad (kale and spinach with quinoa, avocado, blueberries, and pico de gallo). Tomorrowland Terrace Restaurant also has a Dash Pizza (pepperoni and cheese Sicilian-style pizza). For those with a sweet tooth, head over to Auntie Gravity’s Galactic Goodies where you can choose one of Edna Mode’s No Capes, Just Crepes sundaes. 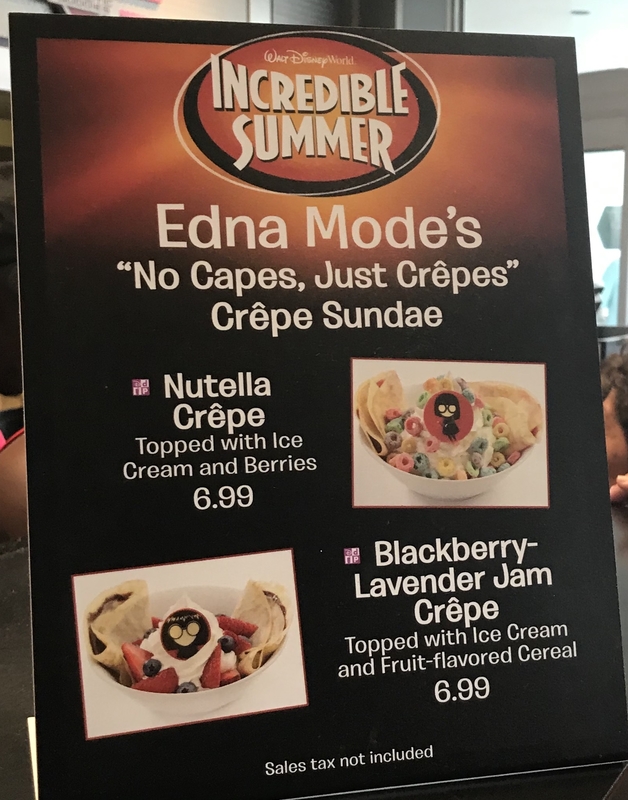 There’s a Nutella Crepe topped with ice cream and berries or a Blackberry Lavender Jam Crepe topped with ice cream and fruit-flavored cereal. 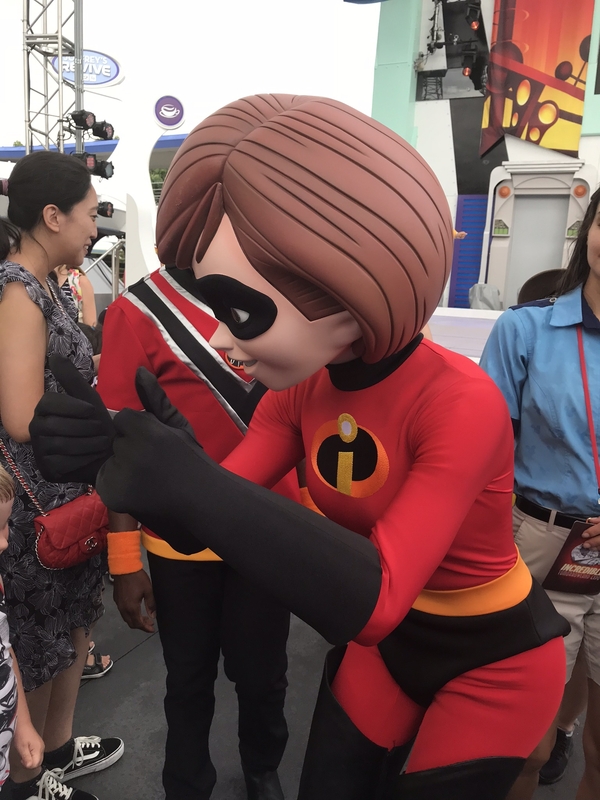 Finally, you’ll find all the ‘incredible’ merchandise every Super needs at Merchant of Venus, Tomorrowland Light & Power Co., or Mickey’s Star Traders. Whether it’s apparel, toys, gadgets, or Pixar Pals, you’re sure to find what you need. 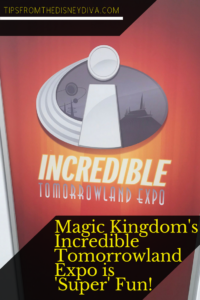 The Incredible Tomorrowland Expo runs until September 3, 2018, so it’s not too late to plan your Incredible Summer at Walt Disney World Resort! Contact Patricia at All for Dreams Travel for your free quote today!